UK terrorism reinsurer Pool Re is seeking to raise $96m from the Baltic Re cat bond, which will provide it with cover against acts of terrorism in the UK. The cat bond follows reports in September that the reinsurer was looking to tap up investor interest in a potential £100m ILS issuance. The transaction covers England, Wales and Scotland on an indemnity, annual aggregate basis, covering terror attacks from various possible causes, including explosive devices, chemical or nuclear explosions, and physical damage from cyber attacks. There has been another successful renewal of the private catastrophe bond sponsored by Latin American reinsurance firm Terra Brasis Re, which is underwritten and invested in by AlphaCat Managers, with a $5m Alpha Terra Validus III transaction issued for 2019. This is now the third issuance of an Alpha Terra Validus private cat bond transaction to benefit Terra Brasis Re. 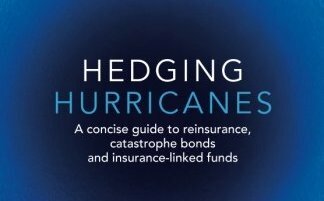 The arrangement was the first to cover catastrophe risks in South America. The Philippines, the Asian Development Bank (ADB) and private market entities are working to develop a parametric disaster insurance pooling facility for Philippine cities to buy protection from, backed by reinsurance and capital markets funding. “There is a strong case for the development of a city disaster insurance pool in the Philippines,” the ADB said in a report. The ADB is planning to capitalise the Philippine City Disaster Insurance Pool (PCDIP) in its early years through a sovereign loan. Neon has announced its second ILS transaction through UK-based transformer vehicle (NCM Re). It marks the first reinsurance renewal under the UK’s nascent regulatory regime for alternative capital investment in the reinsurance sector. The transaction, launched on 1 January 2019, is a $77m collateralised quota share of Neon Syndicate 2468’s property treaty reinsurance and direct and facultative portfolios. Meanwhile, Argo has announced a preliminary pre-tax catastrophe loss estimate for the three-month period ended December 31, 2018 of $32m, primarily related to Hurricane Michael and the California Wildfires. Additionally, the company’s fourth quarter 2018 results will be impacted by higher than expected current accident year losses of approximately $12m, including a number of discrete marine and energy claims. Energy supplier PG&E intends to file for bankruptcy protection due to the potential $30 billion of California wildfire costs that it faces liability for. The announcement follows a series of lawsuits from insurers including Allstate, State Farm and USAA concerning the Camp Wildfire, with PG&E's power lines coming under scrutiny as a potential cause of the fire. PG&E has an approximately $1.4 billion re/insurance program, which includes its $200m Cal Phoenix Re Ltd. (Series 2018-1) catastrophe bond. Swiss Re estimates its preliminary claims burden from recent natural catastrophes in the fourth quarter of 2018 at approximately $1 billion. Swiss Re anticipates claims from the Camp and Woolsey fires in California to be $375m. The claims burden from Hurricane Michael is expected to be $150m. Swiss Re's estimate for Typhoons Jebi and Trami increased by $320m in Q4 2018, net of retrocession and before tax. Insured damage for severe weather events across Canada reached $1.9 billion in 2018, according to the Insurance Bureau of Canada, the fourth-highest losses on record. However, unlike the Quebec ice storm in 1998, the Calgary floods in 2013 or the Fort McMurray wildfire in 2016, no single event caused the high amount paid out for losses. Ice storms, floods, windstorms and tornadoes, did damage to homes, vehicles and commercial properties across the country.